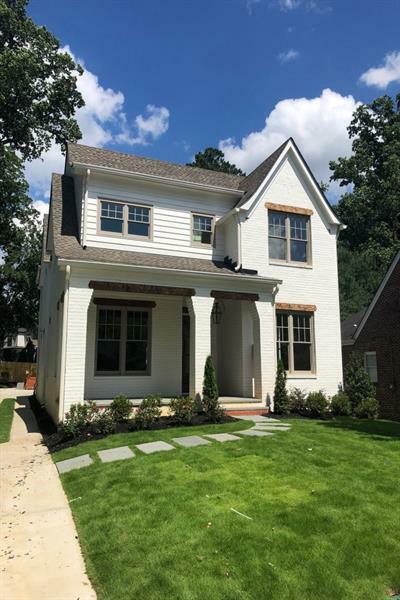 Welcome home to this Classic Morningside New Construction by Level Team Homes on prestigious Lanier Boulevard. Highest level of finishes throughout. High-end Designer kitchen with butler's pantry and walk-in pantry is open to the breakfast room and family room with wall to wall accordion doors to the back porch and the main level, walkout yard. Exceptionally spacious dining room is opposite a main level office/bedroom. Master suite on the upper level with three additional bedrooms and two baths. Basement level features a media room with kitchenette and guest suite. A representative from Metro Brokers has received your request to visit 1249 Lanier Blvd Ne on at .